Powder coating is a highly durable, decorative and long lasting finish applied to products of nearly every sort for the consumer and industry alike. It can come in virtually any color or finish, matte or smooth, is rust-free, scratch resistant and ecologically friendly. Resistant to chipping, and fading, colors of a powder coated item will remain true for many years. High gloss and low gloss finishes, even metallic and clear finishes are available. 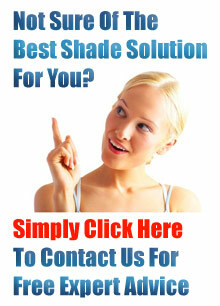 At Shade Sails Sydney we use Dulux Powder Coat products to ensure optimum quality. Dulux Powder Coatings is the largest powder manufacturer and supplier in Australia and New Zealand, developing powders and manufacturing locally for over 25 years. As pioneers in the powder coatings industry, Dulux offers the most comprehensive colour and product range for powder coatings in the market.